Deutsche Sprachschule Inc. – Wir lernen Deutsch! 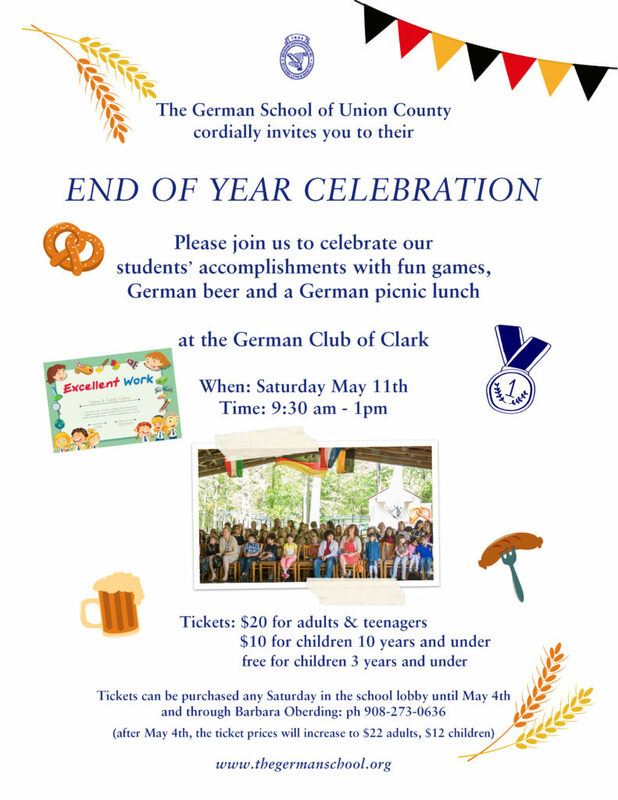 Saturday, May 11, 2019 is the day when we celebrate the end of another successful school year with a picnic at the Deutscher Club Clark. You will find detailed information in the below flyer. Tickets for the picnic will be available as of this coming Saturday in the school lobby.